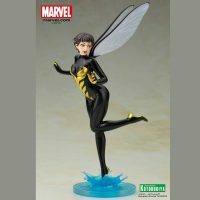 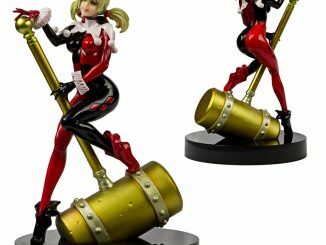 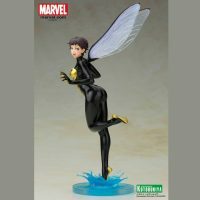 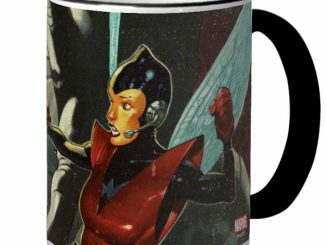 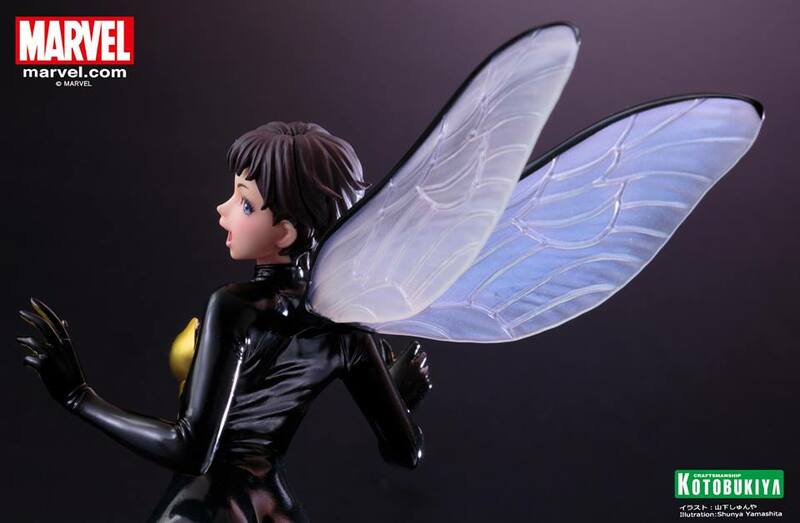 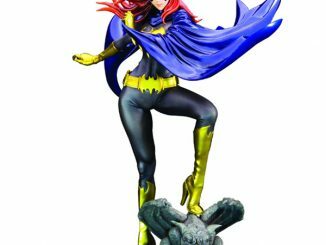 Capture a tiny Janet van Dyne with the Marvel Wasp Bishoujo Statue, although the statue isn’t nearly as tiny as the real Wasp can shrink. 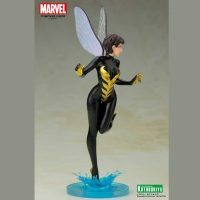 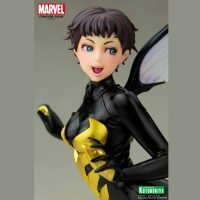 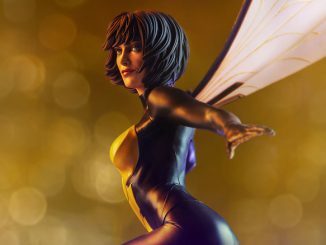 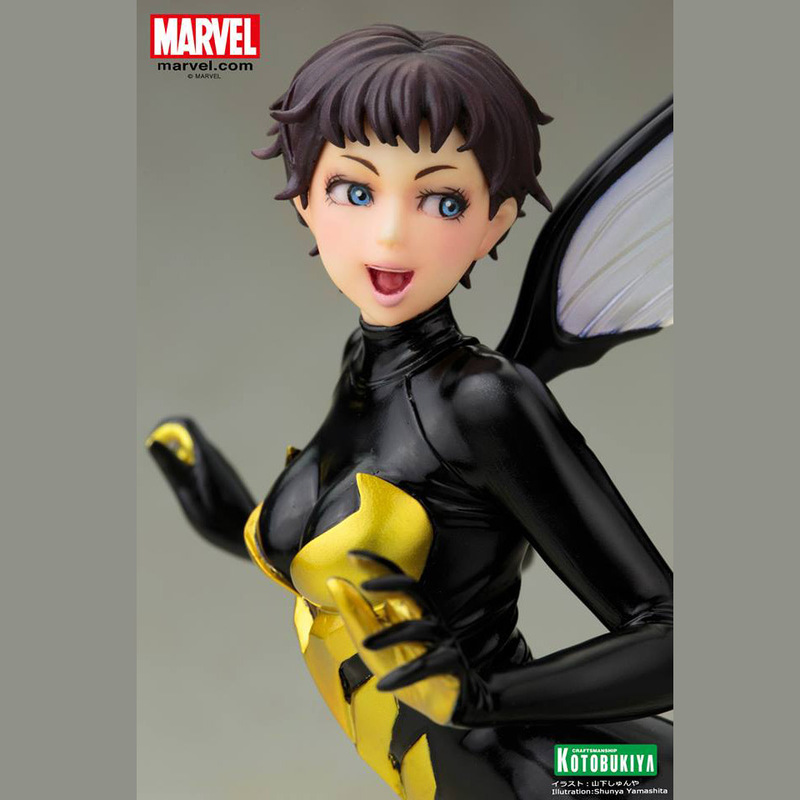 In the comics, the Wasp can shrink down to a height of less than four inches but this “pretty girl” statue stands 10 3/4-inches-tall so no magnifying glass is needed to see and appreciate all the details on her face, costume, and wings. 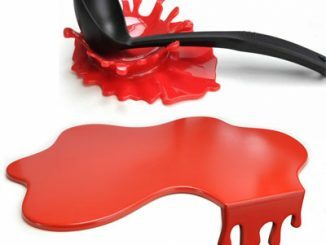 The base looks like she’s tip-toeing on the surface of water, creating a tiny little splash. 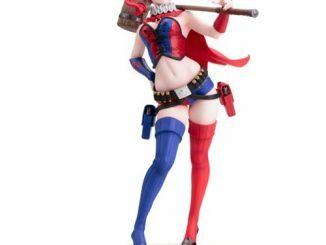 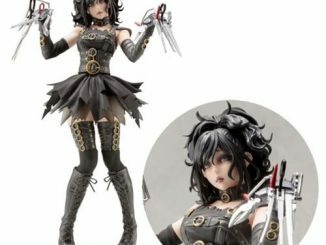 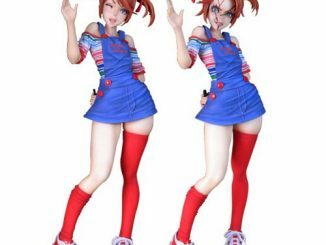 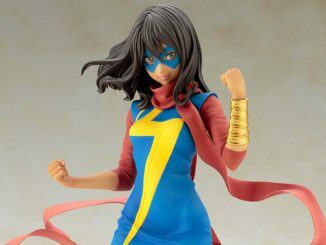 The Marvel Wasp Bishoujo Statue will be available October 2015 but it can be pre-ordered now for $69.99 at Entertainment Earth.